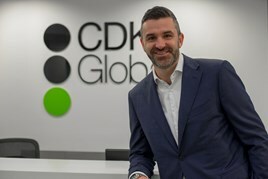 CDK Global has announced the appointment of Stuart Miles as managing director for the UK and Ireland. Responsible for one of the largest regions, Miles’ (pictured) goals include delivering growth and market share for CDK Global in the automotive sector - ensuring products and services help dealers meet expectations of a great customer experience. He brings more than 20 years of automotive knowledge and experience to CDK Global. Previous roles include business development director, with Cox Automotive, where he was responsible for growing the business across the group and with the OEM and dealer communities. Before this, he cut his teeth in the corporate leasing world, with both LeasePlan, and Lex Autolease (part of the Lloyds Banking group). “This is an exciting role for me – the opportunity to build our business and support our customers in achieving a great customer experience for theirs,” said Miles. “My team in 2018 will focus on adding value for UK and Ireland dealer groups with CDK Global products.